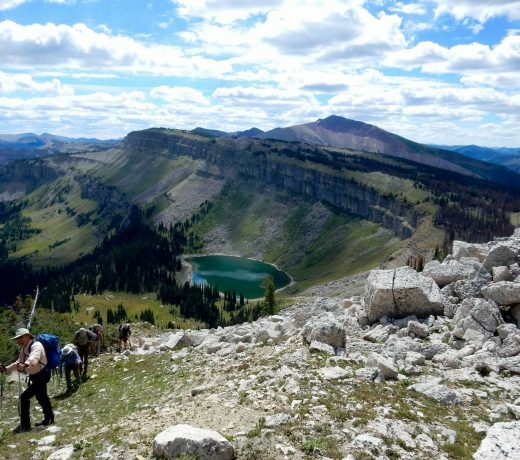 Have you dreamed of hiking Montana without the burden of a heavy pack? Dropstone Outfitting is the only outfitter in the 1.5-million-acre Bob Marshall Wilderness that caters specifically to guided backcountry foot travel. We offer stock supported hiking trips where all you carry is a small daypack as you explore the peaks and valleys of the Bob. The trips are accompanied by a small string of pack animals that carry the rest of the gear. Also, we offer backpacking adventures, custom backcountry experiences, and day hiking opportunities. Drop camp services may also be provided. Because we cater to foot travel, our trips concentrate on what we think makes for exceptional hiking adventures — beautiful vistas, remote locations, distinctive and often rarely used routes, and small group sizes. 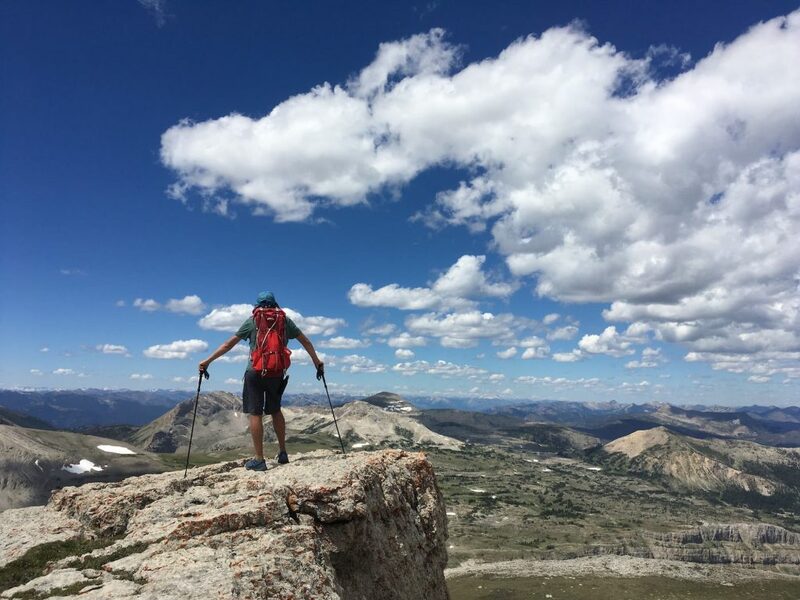 We focus on traveling with minimum impact to the land — practicing Leave No Trace Ethics — while providing you with good food, good company, and a specific knowledge of the Bob Marshall Wilderness. How do you want to explore the Bob Marshall Wilderness? Below are descriptions of the different adventures we offer in the 1.5-million-acre Bob Marshall Wilderness Complex. 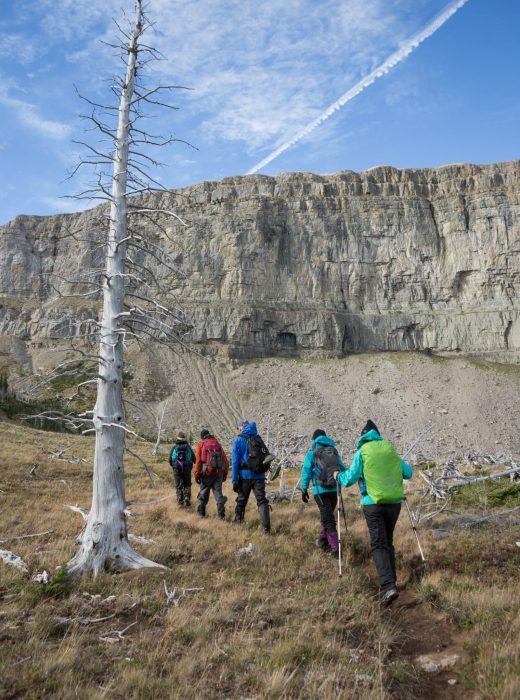 At Dropstone Outfitting, our trips are fully guided hiking adventures with stock assistance in the heart of Montana’s Bob Marshall Wilderness. While we offer day hikes, stock-supported hiking trips are our most popular offering and are what we specialize in. A small pack string—consisting of our horses and mules—carries food, personal items and group gear while you enjoy the day’s hike carrying only your daypack. Two experienced guides accompany our trips, while the packer and string move along to our next overnight camp. 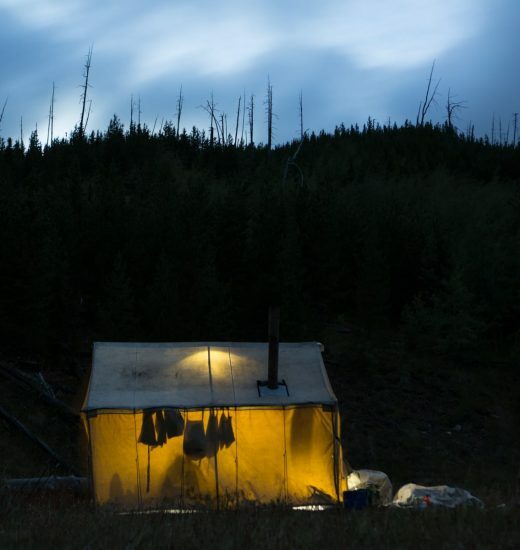 To keep the intimacy and solitude Montana’s wilderness offers intact, group trip sizes are limited to eight-10 guests. Trip prices include home-cooked meals, snacks, guide services, stock support, airport shuttle, group gear, logistics and planning, permit fees, photo-sharing coordination, a lunch bag and map of the route. Additional trip details, and rates, can be found here. Available gear rental includes tents, sleeping bags, sleeping pads, hiking poles and backpacks. If you’re interested in backpacking in The Bob, we offer non-stock supported trips. Trip costs include meals, guiding, logistics, permit fees, one food drop, airport shuttle, group gear, photo-sharing coordination, a lunch bag and trip map. Guests carry their own gear, food (provided) and some group gear. Expect backpacks to weigh between 35-45 pounds; group sizes are limited to eight participants. These are hybrid adventures – part of the trip has stock support and all the comforts that go along with it, while the other portion of the trip is strictly backpacking. 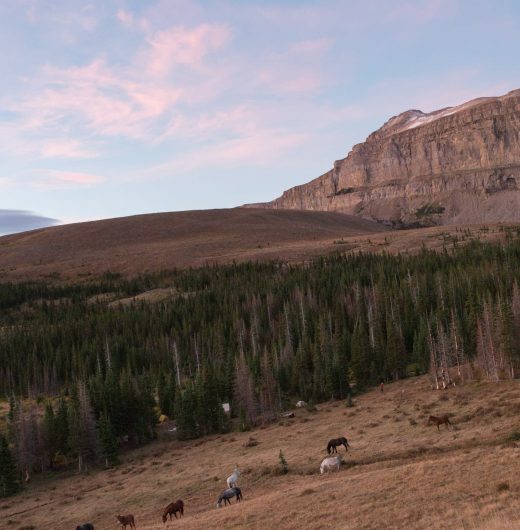 These are ideal trips for The Bob – the horses and mule take a burden off your back while on the maintained trails, but the backpacking portion gets you off of the beaten path and into some truly remote and rugged country. Combination trip prices include food, guide services, stock support, airport shuttle, group gear, logistics, permit fees, photo-sharing coordination, a lunch bag and map route. Available gear rental includes tents, sleeping bags, sleeping pads, hiking poles and backpacks. Group size limited to 8 – 10 people, and trip difficulty depends on route. Price varies according to trip. While we have regularly offered trips, specialty trips provide guests with all the opportunities of a traditional guided trip into Montana’s backcountry, plus a little extra. Depending on the interest of our guests, specialty trips can delve more deeply into the culture and natural history components of an area or focus on specific outdoor pursuits. For these trips, we work with an expert guide in a specific field of study who joins us on the trip. Specialty trip offerings change from year to year, with more information about our 2019 specialty trip available here. You dream it up, and we help with the rest–this includes backpacking, day hikes, stock-supported trips, and any wild ideas that need some additional support. We offer limited drop-camp and food drop services. Call for inquiries. The whole package is $75 including a pack or $65 w/o a pack.